When you cannot change your username, you still can change your Snapchat display name. Find out how to change your Snapchat display name. Fix your ugly username by changing the display name. As we often say, you must really be wise and careful if you want to do something on the internet, including choosing your Snapchat display name. Snapchat username stick forever, you can’t change it. According to Snapchat Support page, for security reasons, it is currently not possible to change your existing account’s username. If you really want to change your username, then you have to delete your account and create a new one. But is it worth it when you are already have a lot of friends and followers on Snapchat? So, we offering another solution to make your Snapchat profile less uncool by changing your display name. 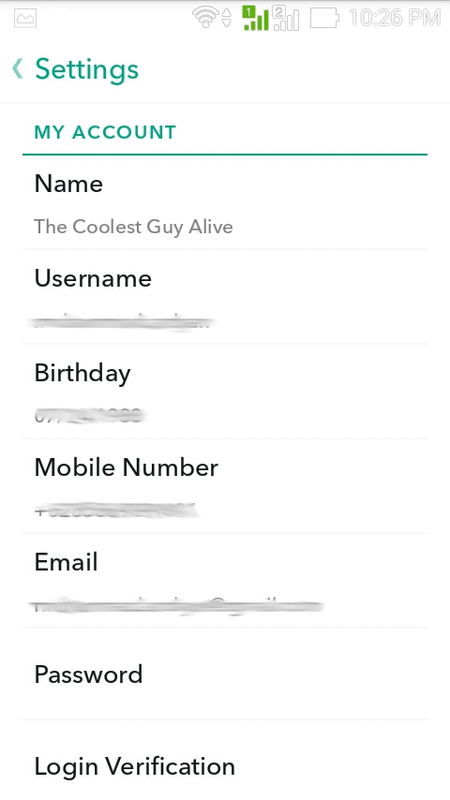 Display name on Snapchat is the name that can be viewed by your friends. Display name is represent yourself on Snapchat, because sometimes username aren’t always so easy to understand. The cool thing is, you can change your Display name to whatever you like. Here’s how to do it. 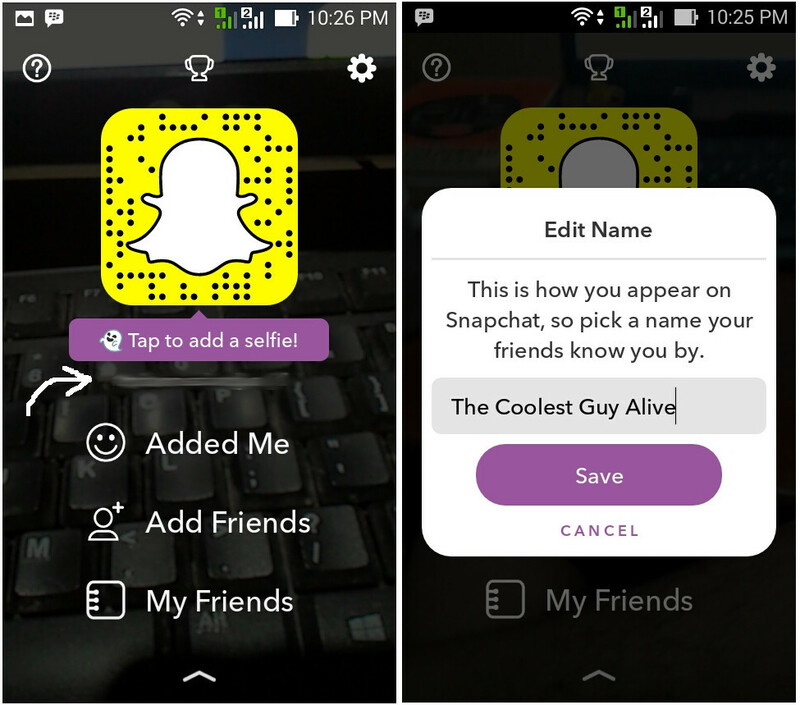 Launch your Snapchat app, from the main screen, swipe down to open your profile page. Tap on your username under your Snapcode. Type the name you desire and tap Save. Now, to make sure that your Snapchat name is actually changed, go to the settings by tapping on the gear icon. Under My Account, you can see that the name has changed, that is the name your friends will view. So this is the only way to fix your bad choice username. You know what, actually no one cares about your username, we only read it once when we want to add. If you really shy about your bad username, never give it to anyone if they asked it, just give your Snapcode instead to add you. Do you have a bad Snapchat username and want to change your display name instead of the username? share it with us, add for add. How can i change their display name back to default?